The charges against Christian Kirk, stemming from his February arrest, were dropped after the Arizona Cardinals' second-round draft pick paid restitution. 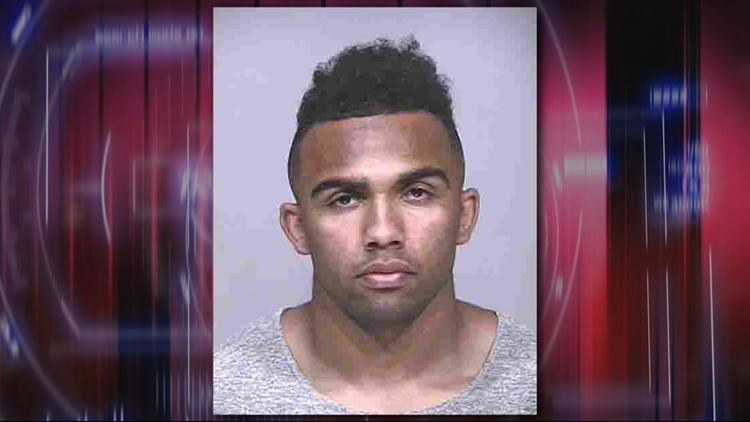 SCOTTSDALE, Ariz. - The charges against Christian Kirk, stemming from his February arrest in Scottsdale, have been dropped, city prosecutor Karen Close confirmed Wednesday. According to Close, the charges were dropped after the Arizona Cardinals' second-round draft pick paid restitution. In other words, he paid for damages. Kirk was arrested along with another man, 18-year-old Carter McCarthy, for alleged criminal damage on February 3. Police documents said Kirk was throwing rocks at cars near TPC Scottsdale during the Phoenix Open. At the time, witnesses told police the two smashed the passenger side back window of a van. Multiple officers said Kirk appeared to be drunk while the arresting officer said Kirk was acting like he was high on a stimulant such as cocaine. Kirk had been a star receiver at Saguaro High School before going to Texas A&M. He was drafted by the Cardinals in the second round of the 2018 NFL Draft.